The world of logistics is changing. Automation and robotics are on the rise and already feature in countless distribution and production centres around the world. In addition to persistently high demands for goods availability, quality, speed of delivery and costs, article variety is also increasing on the back of the trend for customization. New methods and highly flexible solutions for logistics are needed to process this wide range efficiently. At KNAPP, we keep close tabs on changes in the world of logistics and continue to develop our picking solutions, keeping our finger on the pulse along with our customers. We have been working intensively with robotics for years – and with success. In 2017, our fully-automatic picking solution, the Pick-it-Easy Robot was named best product at the leading intralogistics trade fair LogiMAT. The fully-automatic picking solution, the Pick-it-Easy Robot, was named best product at the leading intralogistics trade fair LogiMAT. The Pick-it-Easy Robot boldly takes on the challenges posed by various article ranges. Depending on the sector in question, the picking robot tackles diverse articles – from small medication packages to shirts. The articles not only differ in size but also in surface and shape as well. Thanks to its flexible gripping system, the Pick-it-Easy Robot masterfully handles this entire assortment of articles. With the aid of intelligent image recognition and processing technology, the Pick-it-Easy Robot not only works out the ideal grip point, but also rapidly detects the features of the articles with maximum precision. Depending on the type, dimensions and weight of the articles to be processed, it decides automatically which gripper in its repertoire is most suited to the job. The articles can be picked from the containers randomly or in a certain sequence, without the need for warehouse workers to prepare them in any way. With the aid of intelligent image recognition and processing technology, the Pick-it-Easy Robot not only works out the ideal grip point, but also rapidly detects the features of the articles with maximum precision. The Pick-it-Easy Robot not only brings customization to bin picking; articles are placed in their target position flexibly, with the robot adapting to the requirements of the various sectors and article ranges. Whether the articles are dropped, carefully placed or stacked, whether in containers, trays, cartons or even in pockets – the Pick-it-Easy Robot offers many possibilities. Our customers in diverse sectors rely on the consistently high performance of the Pick-it-Easy Robot as part of a complete solution. In the pharmaceutical sector, the Pick-it-Easy Robot drops the medication packages into the corresponding target containers. In the food sector however, where groceries have to be handled more gently, the Pick-it-Easy Robot carefully sets down the goods. In the fashion and e-commerce sectors, the individual articles are often transferred to sorter pockets. 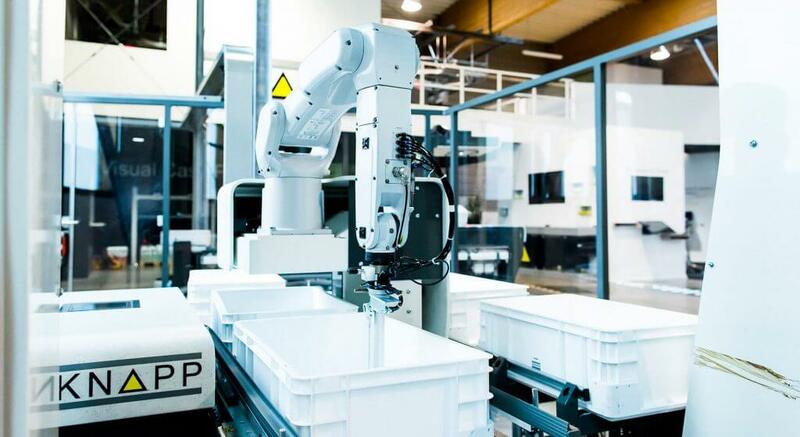 Finally, in industries that require a higher fill level, the Pick-it-Easy Robot stacks the goods in the target containers precisely. Whether the articles are dropped, carefully placed or stacked, whether in containers, trays, cartons or even in pockets – the Pick-it-Easy Robot offers many possibilities. 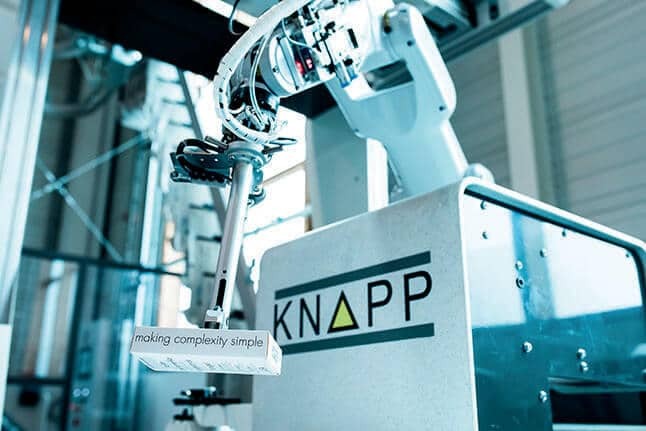 As the Pick-it-Easy Robot comprises modular component building blocks, it can be adapted to the individual requirements of specific customers and be seamlessly integrated into one of KNAPP’s existing complete systems as required. The full potential of the Pick-it-Easy Robot truly unfolds in interplay with other technologies in the warehouse. The combination of a fast shuttle system and a reliable picking robot creates an efficient, fully-automatic goods-to-robot picking process. Combining the powerful pocket sorter system and the Pick-it-Easy Robot results in an efficient solution for multi-channel applications. It can be individually integrated into an existing solution depending on the specific requirements of the case to ensure optimal use. Convertible and flexible – while also fully automatic. The Pick-it-Easy Robot successfully manages to combine automation and customization. Particularly impressive is its consistent performance and ability to pick and sort goods over long periods of time with unvarying quality. 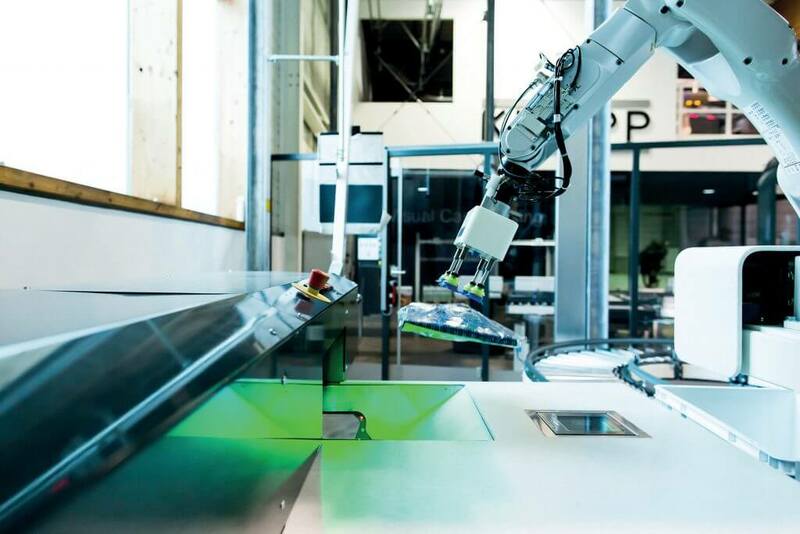 In doing so, the Pick-it-Easy Robot combines efficiency, profitability and cost savings. Companies are also turning to automation and robotics in the face of demographic change and a shortage of skilled employees. Can be used combined with automated storage systems and manual picking work stations. This results in an ideally coordinated picking system. 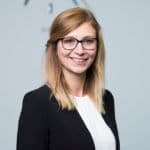 Katharina keeps her finger on the pulse of the latest trends in logistics for the fashion and textiles sectors. After all, tailor-made automation solutions will never go out of style. She also researches and blogs about technological topics such as software, robotics and artificial intelligence. You will receive a notification as soon as a new blog post is published on a topic which you are interested in. Let’s keep in touch. Do you want to learn more about trends in logistics and production? Are you interested in special topics and would like to be informed as soon as a new article is online? Subscribe to your favourite topics. I hereby agree to my personal data being processed and stored for the duration of the blog alert.